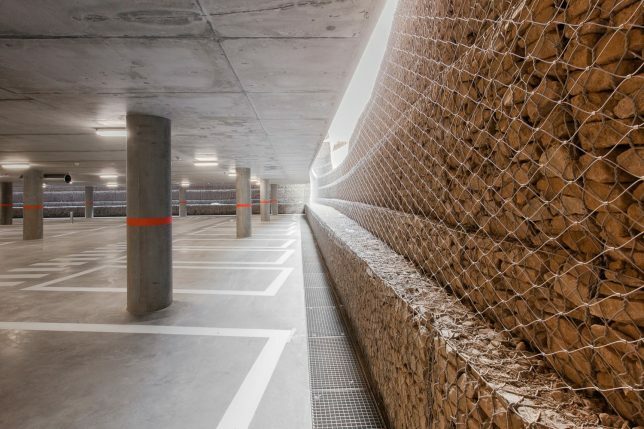 It may not be as jaw-dropping and awe-inspiring as Detroit’s decaying Michigan Theater parking garage, nor quite as multifunctional as the stunning Herzog de Meuron structure at 1111 Lincoln Road in Miami – but this new structure in Belgium is definitely one for the books. 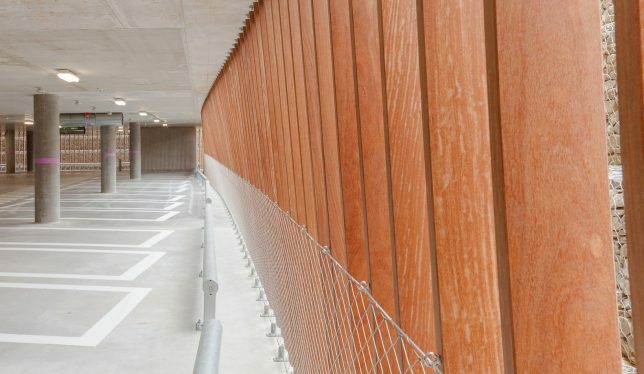 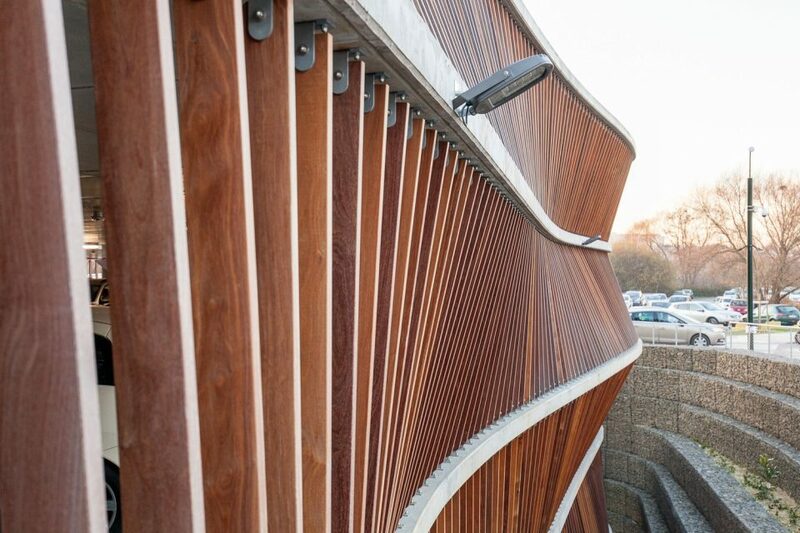 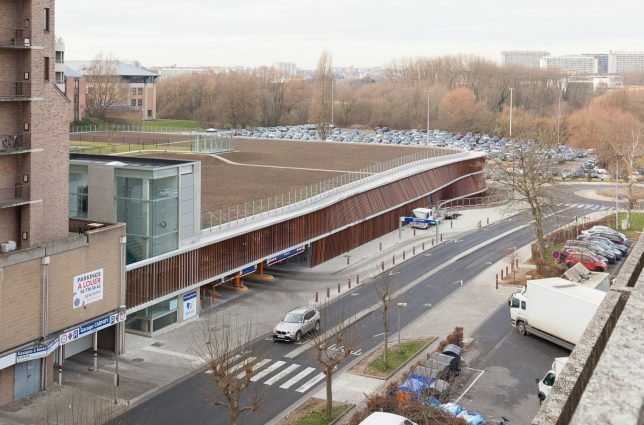 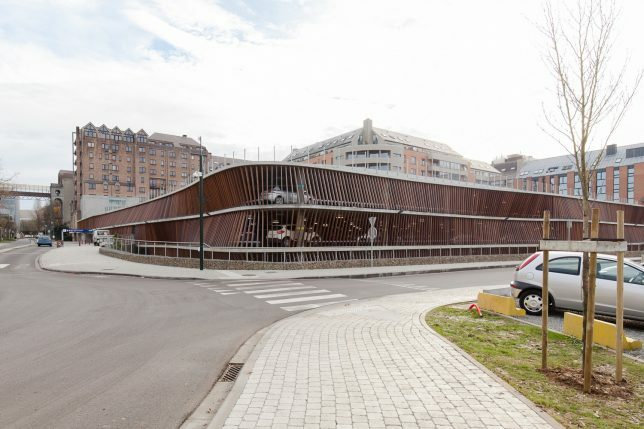 The undulating wooden slate facade of this staff parking garage for the Cliniques Universities Saint-Luc hospital in Brussels is beautifully fluid, with a clever design that disguises most of its bulk underground while remaining architecturally interesting. 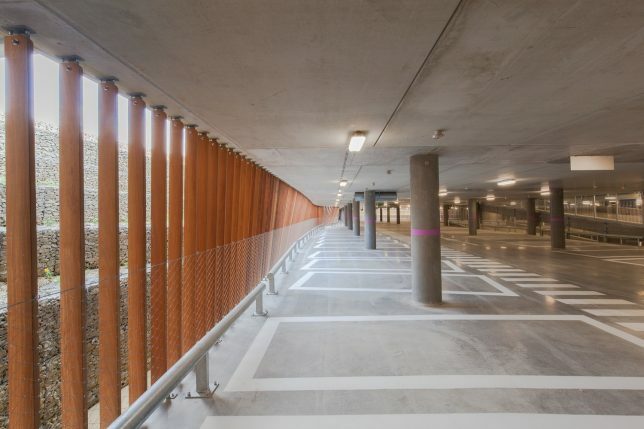 Modulo Architects and De Jong Gortemaker Algra Architects were charged with creating a functional industrial structure capable of holding 985 cars that would also serve as a welcoming introduction to the hospital itself, incorporating daylight, natural materials and a striking look. 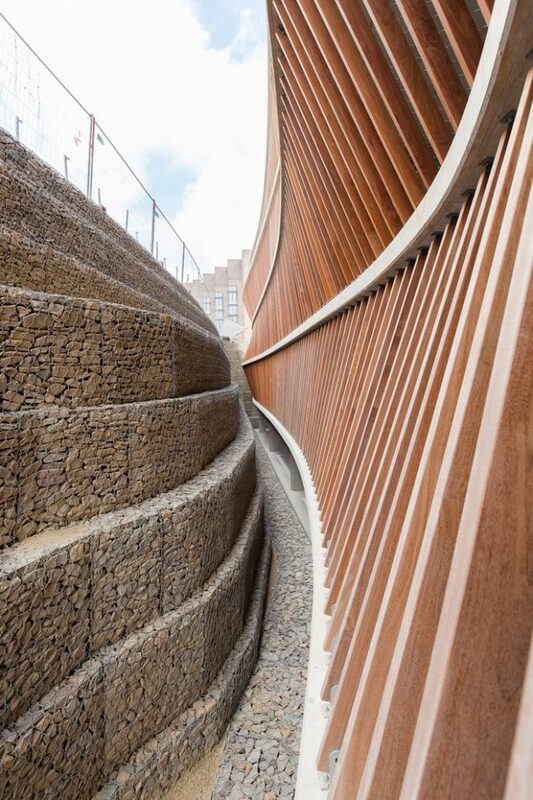 Taking inspiration from natural canyons, they created a stepped design that brings sunlight down into the first two subterranean levels. 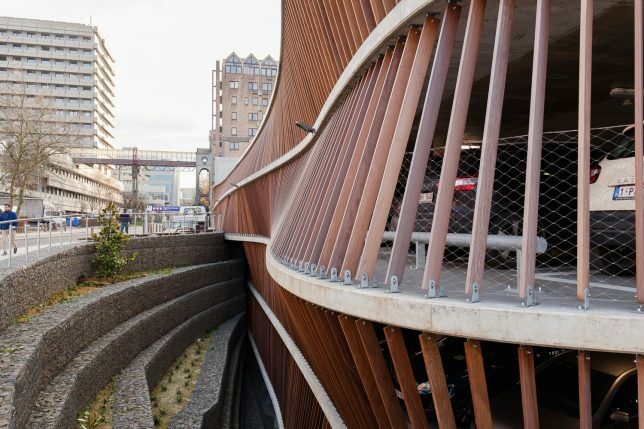 The two above-ground parking decks “bridge the terrain gradient” between street level and the green roof, which is designed to be both a functional outdoor space and something pleasant to look at from the higher floors of the adjacent hospital. 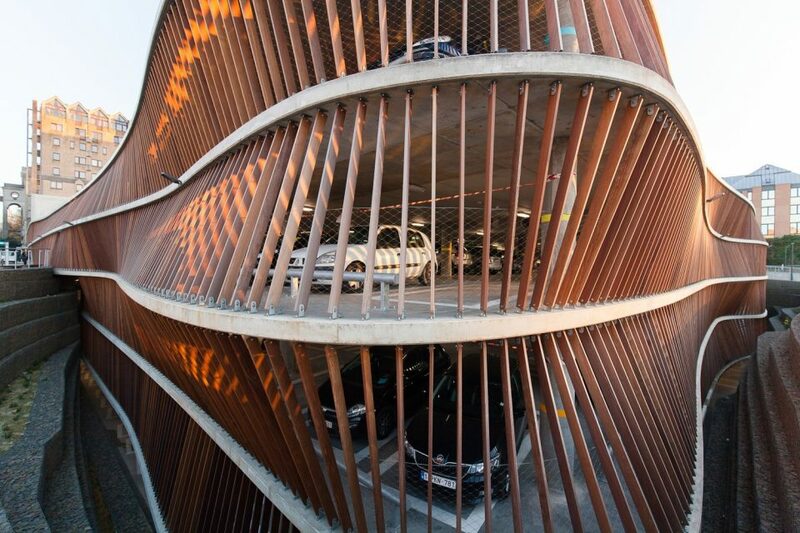 The parking garage effectively raises this green space above street level for a sense of privacy, avoids obscuring views of the surrounding architecture and manages to be pretty cool to look at, itself.